Meet the swifter, lighter Dark Fleet enclosure, the DF-30. On the front reside two Fleet-Release™ access doors packing tool-free washable fan filters allowing rapid access to a massive array of drive bays - 11 total. Each door comes standard with a variable-speed, knob-controlled 120 mm blue LED fan that allows precise tuning of your build's cooling/noise level balance. 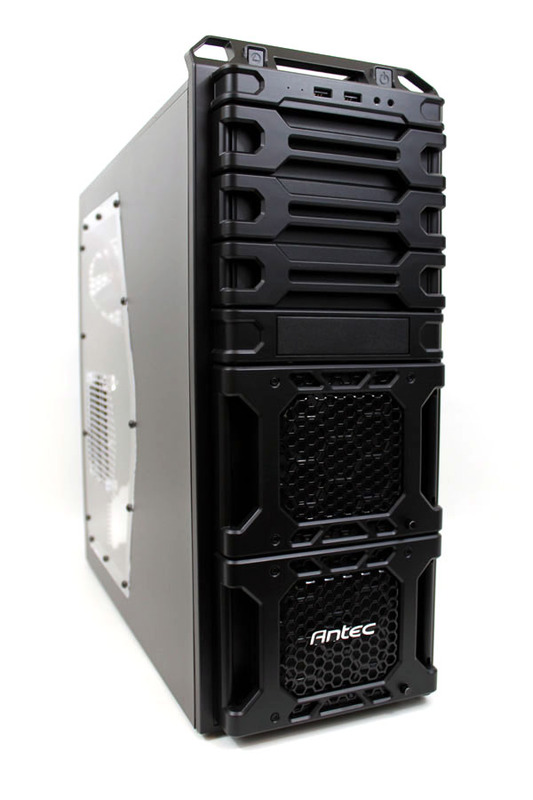 Along with both internal and external hot-swap 2.5" SATA (SSD) bays for smoothly integrated fast data transfer, the DF-30 is the enclosure providing heavy-duty performance and versatility in a swift, convenient mid-sized package - soaring up and above the competition with style. - 6 x internal 3.5"
- 3 x external 5.25"